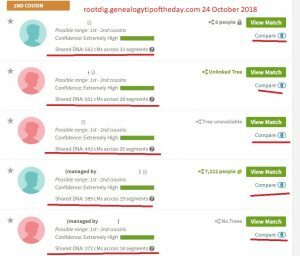 I give genealogical seminars and lectures on a wide variety of genealogy methodology topics, usually similar in content to what is posted on my blog, but not always. In the past, I have spoken at NGS and FGS conferences, Genealogy Jamboree in Southern California, and at a wide variety of one-day seminars sponsored by societies across the United States. BLM land patents, tract books, etc. And a variety of other topics. I can be reached via email at mjnrootdig@gmail.com for additional information. Lectures are practical, down-to-earth, with enough humor to keep attendees engaged.